Accidents happen, even to the best of drivers. In the aftermath of a car wreck, your adrenaline will be flowing, and you may not be thinking clearly. That’s why you should start by taking a deep breath and doing your best to remain calm. Then, use our tips below to make this stressful situation as straightforward as possible. What is the first thing I should do after an accident? People matter more than property damage. Your first move should be to determine whether anyone, in either car, is injured. If so, call 911. You’ll need an ambulance on the scene as soon as possible. How do I know whether to call the police? In some cases, this may seem like a no-brainer. You’ll likely be quick to call for help if you see significant vehicle damage, or if the other driver is getting angry or behaving belligerently. But we recommend calling the police even if the accident seems relatively minor. Police in some cities may choose not to respond to the scene of a minor accident, but let them be the judge. An official police report will be very helpful when you file an insurance claim. If the police choose not to come to the scene, you’ll need to file your own report with the police. Should I move my car? It depends. If the vehicle is still operational and no one has serious injuries, move it to the side or shoulder of the road. Leaving a wrecked car in the middle of the road can cause gridlock and increases the risk of another driver hitting your stopped car, or even hitting you. If your car is not operational, or if there appears to be a danger of fire or explosion (if you smell fuel leaking, for example), do not try to move it. What information do I need from the other driver, and what is the best way to document it? The more information you can gather, the better. In Arkansas, drivers are required to exchange certain information at the accident scene. Don’t leave without recording the other driver’s (1) name, address, and contact details, (2) driver’s license number, (3) license plate number, and (4) auto insurance information. You already have the most important tool for documenting the accident: your smartphone. Taylor King recommends using your phone to take photos of the accident scene, including close-up photos of all damage, nearby intersections and road conditions, and the other driver’s license and insurance cards. You can even time-stamp your photos to add credibility to your future claims. Where can I get help after my car accident in Arkansas? 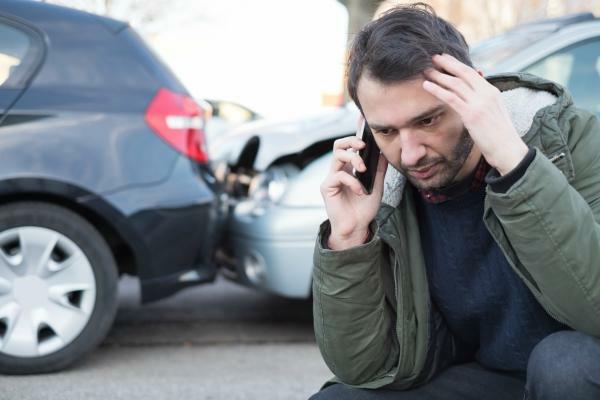 If you were injured in a car accident, you may have legal rights to compensation. The Taylor King Law firm represents thousands of Arkansans in car wreck cases each year. We may be able to help you. Contact us for a Free Consultation at 1-800-CAR WRECK (227-9732), or fill out our quick and easy Case Evaluation Form online. You can also download our free Taylor King Law app for iOS and Android. We’ll be happy to speak with you about your injuries and discuss your legal options. We’ll be on your side, by your side every step of the way.